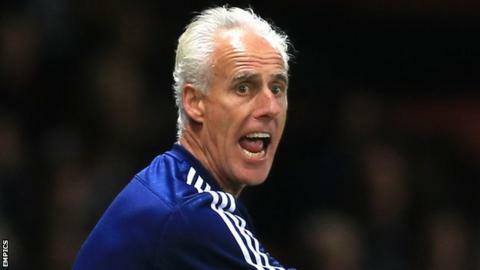 Ipswich Town boss Mick McCarthy says his team are not better or worse than their Championship rivals. McCarthy's side lie in eighth position in the Championship but have kept just two clean sheets so far this season. But the Tractor Boys boss puts their defensive difficulties down to his side being figured out by the opposition. "Maybe one or two teams have looked at us and given us a bit of respect as they know what's coming," McCarthy told BBC Radio Suffolk. "I don't think we're that much better than a lot of the other teams but we're certainly not much worse. "When we'd had a good start I didn't think we were that much better than everybody else," he added. "Did Bristol City look like a team who were bottom of the league on Saturday? No they didn't and it will be the same again this Saturday against Blackburn because they're better than their league position." Striker Daryl Murphy says he believes the key to Ipswich's defensive struggles lies at the door of their attacking players. "We've been scoring a lot of goals but we've been conceding too and it's not just the defence, it starts from the front," he said. "We need to stop and be more like we were last year, especially at home where we were hard to beat."